We're now half way through March which means we're approaching the home straight of the football season and one competition that is still wide open is the Premier League. Liverpool and Manchester City are slogging it out at the summit of English football for the honour of being named Champions and it's a race that looks like it's going to go right down to the wire. The pair have produced outrageous consistency and put in some sublime performances - so it will come as little surprise that their players dominate the betting when it comes to the PFA Player of the Year Award. Players from Anfield and the Etihad make up the first 8 spots in this market, but 4 of them really stand out from the rest. Virgil van Dijk, Sergio Aguero, Raheem Sterling and Sadio Mane look like the leading contenders at the moment and you really feel that the final destination of the Premier League trophy will have a major say in where this award ends up. It initially looked like a two horse race with van Dijk and Aguero the front runners just like 12 months ago when Kevin De Bruyne and Mohamed Salah dominated, but things have changed slightly with Sterling & Mane's performances deservedly seeing them enter the fray. Salah's record breaking goalscoring run led to him pipping the City man so it's gonna be interesting to see if the award goes to Manchester or stays on Merseyside this time around. Below we've taken a look at the leading contenders and assessed who's in the driving seat going into the business end of the campaign. Who do you think should win the PFA Player of the Year award? Get involved in the debate with us @FootyAccums. The PFA Player of the Year Award is usually dominated by forward players, but this year the betting indicates that we could see a defender win it for the first time in 14 years. John Terry was the last man to do this back in 2005 but the unbelievable impact that Virgil van Dijk has made since joining Liverpool has seemingly put him in pole position. Much has been said about the Dutchman since making his record breaking move from Southampton just over a year ago, with many claiming that he's developed into the best centre-back in Europe. 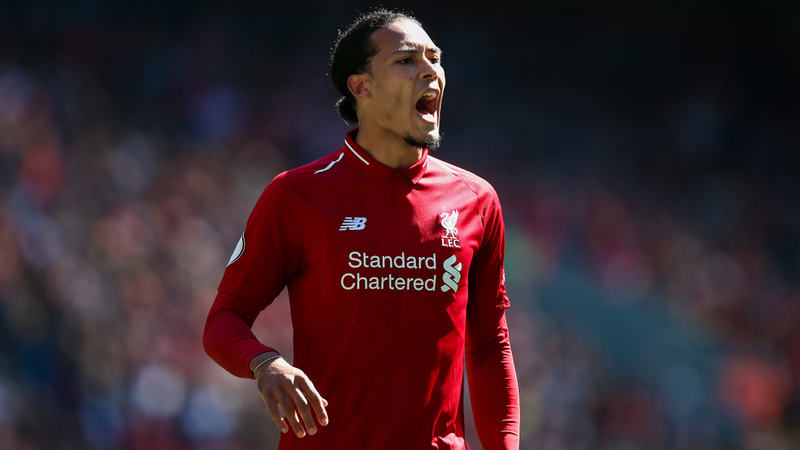 It's easy to get carried away with some players but in van Dijk's case all the praise he's received is fully justified - with the 27 year-old a vital cog in Jurgen Klopp's 'heavy metal' system. The commanding centre-halves arrival has seemingly brought Liverpool's regular defensive mishaps to a resounding halt, whilst playing a crucial part in them making the final of last seasons Champions League and now competing with an absolutely superb Manchester City side for the Premier League title this time around. Van Dijk's contribution at the back has led to them conceding the fewest goals and keeping the most clean sheets, which must make fantastic reading for Klopp after all the criticism he's received about his sides defending since taking over back in 2015. But it's not just the stats that make van Dijk's contribution to the Reds' cause so impressive. He's become highly influential in the dressing room, demanding his teammates match the high levels of performance that he sets himself which has led to him wearing the captains armband in the absence of Jordan Henderson and James Milner. Many Liverpool fans would love to see him made the permanent skipper and he is certainly worthy of that honour. The way he imposes himself on the pitch makes him an absolute beast which must be a nightmare for defenders and a dream for his manager - with him featuring in every game of the Premier League for Liverpool so far. Van Dijk faces tough competition from his teammates and the City contingent for this award, but no one can argue that he deserves to win it. Eyebrows were raised initially when the Reds shelled out £75m to sign him but the impact he has made is absolutely staggering and the fact he's ahead of Sergio Aguero for the PFA Award speaks massive volumes. Van Dijk will take some beating and we're expecting him to go all the way in what could prove to be a very memorable first full season at Anfield for him. Since arriving at Manchester City in 2011, Sergio Aguero has arguably been THE striker in the Premier League. The diminutive Argentine arrived at Eastlands for a big fee and an even bigger reputation - but we don't think anyone expected him to succeed over here like he has. Now 8 years into his stay in the north west, Aguero has become an icon of City's modern history, playing starring roles in several trophy winning campaigns, with his last minute winner against QPR to win the 2011/12 PL one of the best moments in the history of the game AND if that wasn't enough, he also became the clubs all-time record scorer last term. Such has been his success in the Premier League that he's now just 14 goals behind the great Thierry Henry in the top flights all-time goal standings - surpassing the Frenchmen would make him the highest scoring foreign player in the competitions history. All of this is absolutely incredible but one thing that may come as a surprise to many of you is that he's never won the PFA Player of the Year Award. This award is given out for outstanding consistency and there aren't many who can compete with Aguero on that front during his time in England, which makes it all the most astonishing he's yet to win it. But this year looks like one of this best opportunities to do it since joining City. 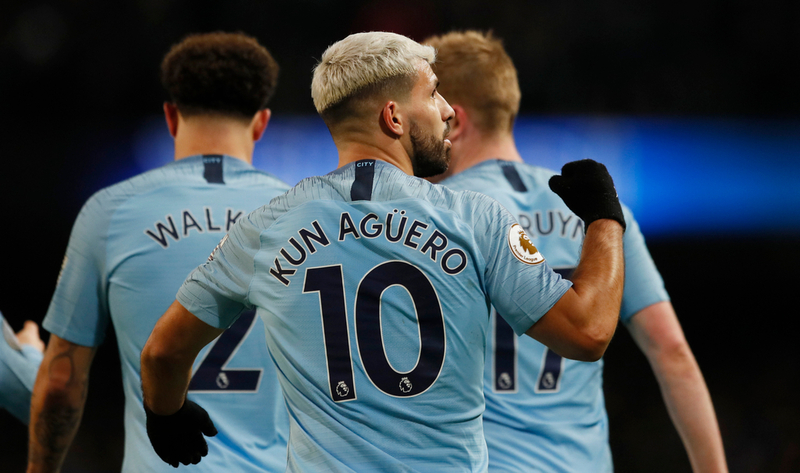 Aguero is currently setting the pace in terms of goalscoring after netting 18 league goals in just 24 starts, which includes hat-tricks against the likes of Arsenal and Chelsea. The sheer number of goals he scores is impressive but it's when he gets them that makes them so important. He's a man for the big occasion which is shown by strikes against Manchester United in the derby and the opener against Liverpool in their must win encounter back in January - the only game that the Reds have lost this season. If it wasn't for the commanding defensive displays of Virgil van Dijk we really feel that Aguero would be the clear front runner for this award, but there's still time for that to change. Games against the likes of Fulham, Cardiff, Burnley and Brighton are still to come which gives him a big opportunity to get some more goals under his belt. His record haul in the PL is 26 and if he can maintain this level of performance there's no reason why he can't beat it and push onto 30 - but as for the PFA Award, we feel that he needs a massive end to the campaign to leapfrog van Dijk. Nevertheless, he's enjoyed a magnificent season and the stupendous level of consistency he produces is rarely matched in the game. PFA PLAYER OF THE YEAR & YOUNG PLAYER DOUBLE ON THE CARDS? 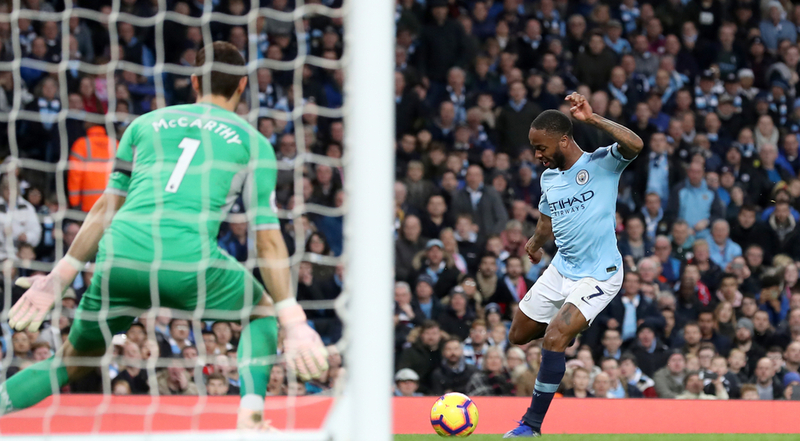 Another Manchester City player is a popular contender in this market, with England international Raheem Sterling enjoying another stellar campaign under Pep Guardiola. The forward seems to have been around forever so it seems bizarre to think that he could potentially win both the Player & Young Player of the Year Awards, but such has been his impact over the last couple of seasons. Working under Guardiola has been one of the best things that could've happened for Sterling's career, he's always had the talent to go right to the top but the Spaniard is certainly helping him make his way there in prolific fashion. 54 goal contributions (29G 25A) in just 60 Premier League appearances over the last two seasons makes him one of the divisions most devastating attackers and with him still so young it's scary to think what he could become. His finishing has improved tenfold but his all-round game is what makes him one of the first names on Pep's teamsheet, forging fantastic relationships with the likes of Aguero, David Silva, Bernardo Silva and last years PFA Young Player of the Year winner Leroy Sane. City are a nightmare to play against and the rapid rise of Sterling is a massive factor in that, so it's no surprise to see him backed by so many to win the award. Last season saw him produce his most prolific campaign to-date with 18 Premier League goals, along with 23 in all competitions. Well this year he's netted 15 times in the PL along with 19 in all comps so he's on course to easily eclipse that which shows just how much he's progressed and he's going to have a huge say in the title race over the remaining weeks. He faces tough competition for the PFA gong but the Young Player of the Year Award looks like a real possibility. He's currently 4/7 favourite to win the award ahead of the likes of Marcus Rashford, Bernardo Silva and Declan Rice who've all enjoyed superb campaigns. But the continuing improvement of Sterling means it looks like it's his to lose and if he can continue to shine in a potential City Premier League title victory he could potentially win them both - which would see him become the first player since Gareth Bale in 2012/13 to do so - elite company. Coming in at 20/1 Sadio Mane represents something as an outside shout for the PFA Player of the Year Award, but his current form makes him an attractive option. 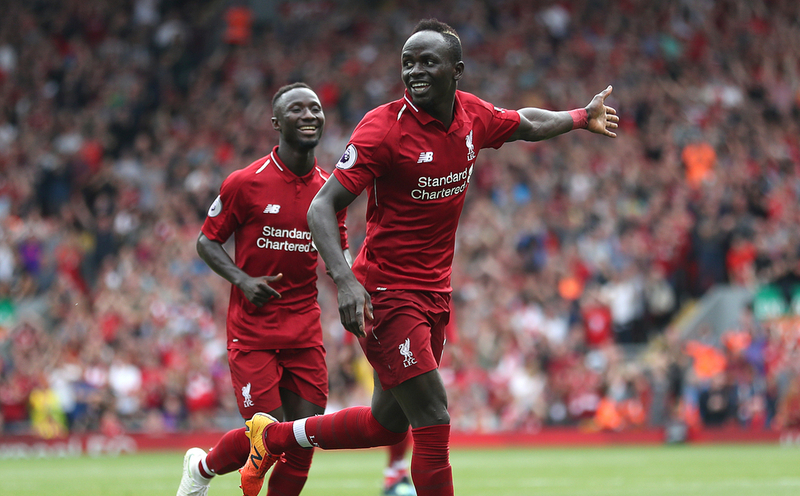 Often considered as the least in-consistent of Liverpool's prolific forward line, Mane has really stood up and been counted for over the last few weeks as the Reds approach the crucial end of season run-in. The Senegal international has bagged 11 goals in his last 11 appearances in all competitions, which includes an important brace against Bayern Munich in Bavaria to dump them out the Champions League a week ago. Mane has always been capable of producing this elite quality but now he's doing it so consistently makes him one of Liverpool's most dangerous and reliable players. Such has been his level of goalscoring this year he now finds himself joint second in the race for the Golden Boot - tied with last years winner Mohamed Salah and just one behind leader Sergio Aguero which is a huge testament to him. His total of 17 makes this his most prolific Premier League campaign to-date, comfortably eclipsing his haul of 13 in the 2016/17 campaign and with 7 games to go he could really push on and surpass 20 which would be a massive achievement. The goalscoring is what's got Mane all his plaudits over the last few months but his all-round game makes him so important to Jurgen Klopp. The 26 year-olds pace on the break makes him a great outlet on the counter-attack and the understanding that he's struck up with full-back Andy Robertson on the left flank is fantastic too, playing a big role in the Reds success over the last couple of seasons. Mane is certainly an outsider for this award but his performances certainly make him worthy of being up there. If he can continue this crazy run of form throughout the remaining weeks of the season as Liverpool go for their first ever Premier League title along with their sixth Champions League, he will be in with a very strong shout and will shorten much significantly from 20/1.